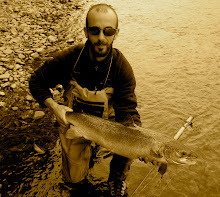 Clonanav Fly Fishing will be hosting an informal demo day on Saturday 20 April. We will be showcasing some of the latest gear from Guideline including the new LXi Rods, Scandi Heads, TSL Running lines and much more. Also available to see and test will be the existing range of rods including the popular Exceed Swith and DH ranges and LPXE range of rods. Guideline Powerteam Member from Ireland - Kieran Conlon (APGAI Ireland) will be on hard to demo and talk you through the latest range of gear. We will have special offers running through the weekend on all Guideline Gear. Buy any Guideline rod or combo over the weekend and receive a FREE Guideline Cap! The event is Free and all are welcome to attend.